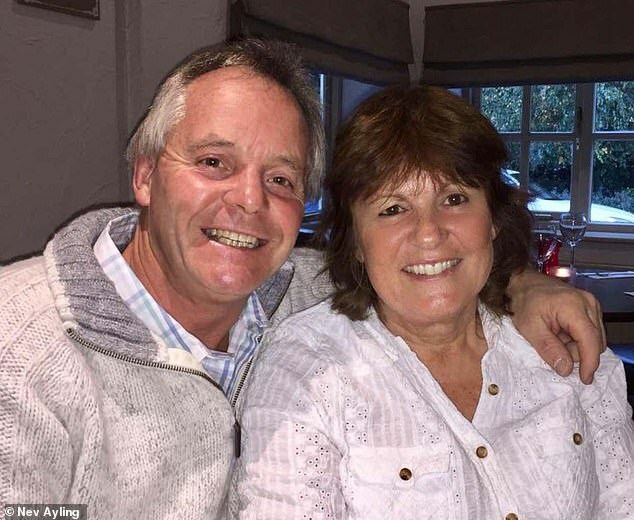 An electrician who says he unwittingly poisoned his wife with deadly asbestos dust while they hugged and kissed as a young couple 40 years ago is now suing for £1 million over her death. Lydia Carey’s grieving husband, John, 60, says that, from the day he started courting her in 1976, she breathed in asbestos fibres secreted on his work overalls and even in his hair, moustache and sideburns. 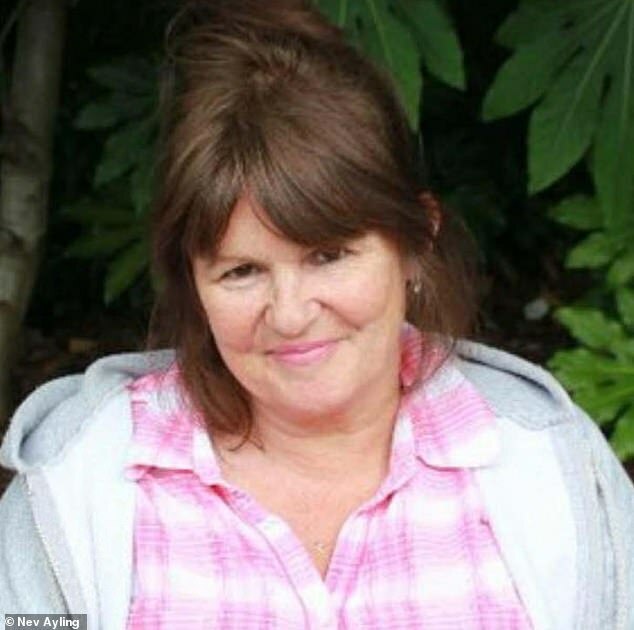 He escaped unharmed, but Lydia died, aged just 60, on November 27 this year after losing her fight against asbestos-linked lung cancer, the High Court heard. Deadly fibres were transmitted from husband to wife during the habitual rituals of daily life, said Mr Carey’s barrister, John-Paul Swoboda. ‘All through the period she and John Carey would hug and kiss upon seeing one another,’ he told Judge Karen Walden-Smith. ‘As well as the asbestos on his clothes, Mr Carey had a full head of hair, a moustache and sideburns in which asbestos dust would be trapped until liberated by movement from – say – a hug,’ he added. 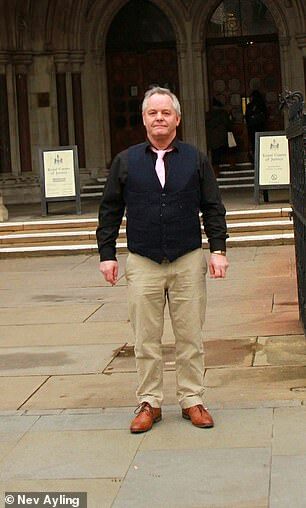 Mr Carey, from Toddington, Bedfordshire, is now claiming massive damages from Vauxhall Motors, at whose Luton and Dunstable sites he worked between 1973 and 1979. The car giant is fighting the case, denying that Mr Carey was exposed to hazardous amounts of asbestos whilst working for them or that he would have ‘disturbed asbestos in the fabric of the building’. Mr Swoboda told the court fibres lay dormant in Lydia Carey’s body for 40 years before triggering the cancer that killed her. She was diagnosed in October 2017 with mesothelioma, an incurable cancer notorious for the agony suffered by its victims, and was just 60 when she died on November 27. Vauxhall says all asbestos-related work at the plants was done by specialist external contractors and it operated an overalls washing scheme for its employees. But Mr Swoboda said the company had charged extra for the laundry service, and insisted that Mr Carey worked in close proximity to asbestos dust. The couple wed in 1978, the court heard, and house proud Mrs Carey regularly washed her husband’s work overalls, he told the judge. His work clothes were at times ‘black with dust’, he added, which even penetrated into the turnups of his trousers. ‘Once married, Mr Carey would change from his work clothes when he came home so as not to make the house dirty,’ said Mr Swoboda. She would even ‘beat the dust’ from his clothes before slotting them into the washing machine, the court heard. Much of Mr Carey’s work was carried on at Vauxhall’s Dunstable plant, and Mr Swoboda claimed the factory was polluted by ‘huge quantities of asbestos’. He worked alongside men removing or applying asbestos lagging to pipes, and he recalled seeing workers mixing asbestos powder to paste. At times he had to ‘walk through, kneel or lie on asbestos dust and debris on the floor to carry out his work’, the barrister claimed. ‘He swept asbestos dust and debris from the floor using a dustpan and brush’. Mr Carey claims Vauxhall neglected to warn him of the dangers linked to asbestos and should have provided him with protective equipment. And Mrs Carey’s indirect exposure to dust and fibres over a three-year window between 1976 and 1979 was enough for asbestos to do its deadly work, argued Mr Swoboda. But Vauxhall’s QC, Paul Bleasdale, suggested other sources for Mrs Carey’s fatal illness. Even if Mr Carey was exposed to asbestos when working for Vauxhall, it would have been ‘very occasional if not minimal’, he argued. And he claimed that Mrs Carey may have been exposed at other times during her husband’s working life – or by contact with her father, who also worked with asbestos during her childhood. Her cancer diagnosis came ‘completely out of the blue’ in October last year, and her funeral is planned for December 14th. The couple had just celebrated 40 years of marriage when she died, said Mr Carey, adding: ‘We were together since our teens. ‘She was my world, she meant everything to me. She was a lovely lady, very bubbly. Describing the family as ‘devastated’, Mr Carey said: ‘They say everything happens for a reason. ‘I’m not so sure about that, but hopefully this case will raise some awareness about this stuff, which is a silent killer’. Jugde Walden-Smith will rule on Mr Carey’s damages claim at a later date.